David Fanshawe, who died in 2010, was a musical visionary who travelled around Africa recording the music he heard for posterity. He then combined these recordings of African music and sounds with classical choral music to create incredibly haunting, emotional new pieces of music. Conductor Peter Hunt said: “David was an exceptional man, well ahead of his time in fusing musical styles and sounds to create something new and magical, an approach we take for granted nowadays. David Fanshawe attended every concert where African Sanctus was performed, and his widow, Jane Fanshawe will be the choir’s special guest. 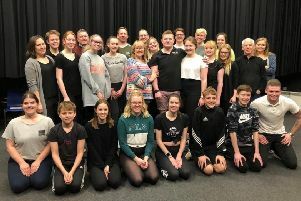 Peter added: “We are incredibly lucky to live in an area with so many gifted musicians, composers and singers in our midst. Tickets are £15, available on the door or by emailing tickets@cncs.org.uk. The concert starts at 7.30pm on Saturday, April 6 in Deddington Church. 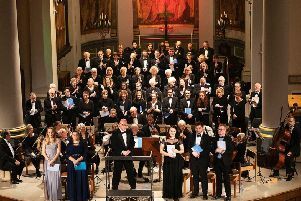 For more information on the Chipping Norton Choral Society visit their website.